The state of Florida has accumulated almost 10,000 DUI-related deaths since 2003. With all the ad campaigns and educational material available regarding the dangers of driving while under the influence of alcohol or drugs, this figure is particularly shocking. Most Americans have been inundated with the idea of not operating a vehicle when they are over the legal limit. However, far fewer Americans are actually aware of what the legal limit is. Furthering your understanding of just how few drinks it takes to be legally impaired can be vital to reducing your chances of DUI, and ultimately helps to ensure the safety of those around you. According to Florida state law, the legal blood-alcohol level (BAC) admissible to operate a vehicle is 0.08. This figure is set by the Florida Department of Highway Safety and put into law by Florida state statute. Thus, if you operate a motor vehicle with a BAC above 0.08 you are breaking the law. However, there is a tiered system of sorts governing BAC levels in DUI offenses; for instance, if your BAC is above 0.15 then you will be subject to far more severe penalties associated with your DUI offense. Being cognizant of how much alcohol you have consumed and where you stand in relation to the legal limit is absolutely critical. In the event that you are pulled over and charged with DUI, your life could be drastically altered. This holds even more true for individuals who are under the legal drinking age or who hold a commercial drivers’ license (CDL). 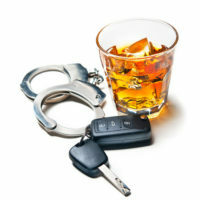 Any DUI conviction can result in serious change to the course of your life. When convicted of DUI you can face a lengthy prison sentence, severe fines, and loss of driver’s license. What’s worse is that a DUI conviction can result in the loss of your job and hurt your future ability to gain employment. If you have been charged with driving under the influence of alcohol, it is critical that you reach out to a criminal defense lawyer. Following a DUI charge it is likely that you will be overcome by fear and confusion, during this time it is critical that you remain proactive in the fight for your freedom. Your lawyer can make a world of difference as the prosecutor makes their case against you. Your lawyer will be able to advocate on your behalf and ensure that you are being treated fairly with respect to the law. If you are in need of assistance, contact the Baez Law Firm in Miami; you will receive aggressive, effective counsel while enjoying the peace of mind of knowing you are in the care of one of the nation’s best defense lawyers. Do not delay; call 800-588-BAEZ now to schedule a free consultation.